Your kids are your most precious passengers whenever you travel in your car. Keeping them safe and comfy while traveling is a top-of-mind priority for every parent. And that’s where the best-rated car seats come into play. Vehicular accidents are one of the leading causes of death and injury in children. Not trying to scare you, but that’s the truth. Getting a reliable car seat is a step in the right direction. All car seats designed and tested created to meet safety standards.But you also need to make sure it’s installed correctly. Ignoring the installation could lead to disasters. 1. Infant car seats – Also known as rear-facing car seats, these are made for newborns until they’re at least two years old. Experts suggest, though, to keep your baby in a rear-facing car seat until your little exceeds the weight/height limit. 2. Front-facing car seats – Once your child reaches two or exceeds the weight/height limit, it’s high time to transition to a front-facing one. However, if he’s small for his age and is under 40 lbs, keeping your child in a rear-facing car seat is highly advisable. 3. 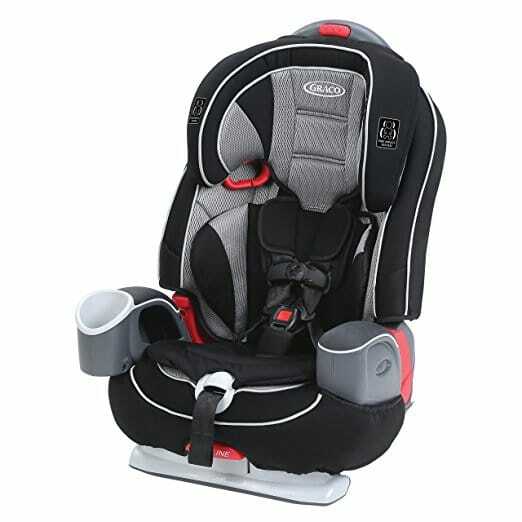 Booster car seats – Though your toddlers are no longer babies, their frames are still not suitable for adult seat belts. A booster seat raises your child’s height, so the seat belts fit appropriately. A booster seat can either be a high-back or a backless booster. Recline – Applicable mostly in rear-facing car seats since reclining can be dangerous in front-facing models. It helps your baby sleep comfortably while inside your vehicle. 5-Point Harness – These are made to reduce the risk of your child slipping out of his seat. An absolute must-have. Impact Protection – Makes use of EPS foam for added impact protection, especially around your child’s head. Wings – Aside from keeping your kid’s head upright, wings also provide additional head protection for your child in case of a collision. With the must-have safety features discussed, let me give you my top picks for the best-rated car seats available. Note that this list has different types of car seats – from infant models, front-facing, to booster seats. You can buy different car seats as your child grows. But if you’re looking for something that you can use from day one until he’s old enough to use the seat belts, the Graco SmartSeat is an excellent choice. 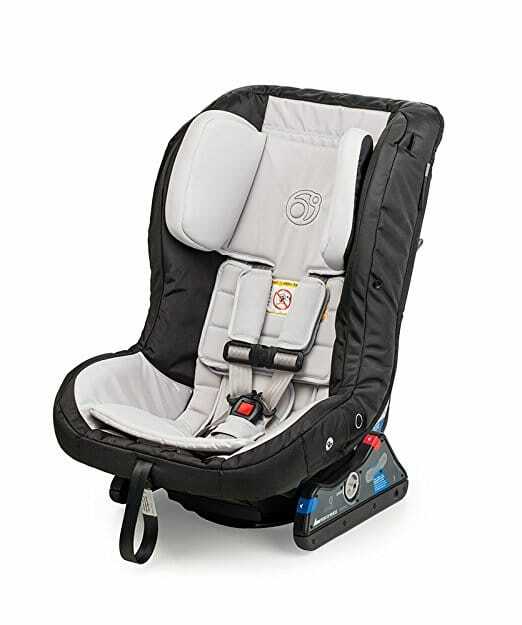 The SmartSeat All-in-One from Graco works as a rear-facing car seat for babies up to 40lbs, a front-facing seat for kids up to 65lbs, and a booster seat for children up to 100lbs. Graco promises that this will be the only car seat you’ll ever need to buy for your kid. And boy, does it live up! This car seat has a lot of features that set it apart from other models. The seat cushion is machine-washable while the metal and plastic parts can are easy to clean with soap and water. It also has indicators to tell you when the car seat is locked onto the base, while another indicator will tell you if your child is riding at just the right angle. 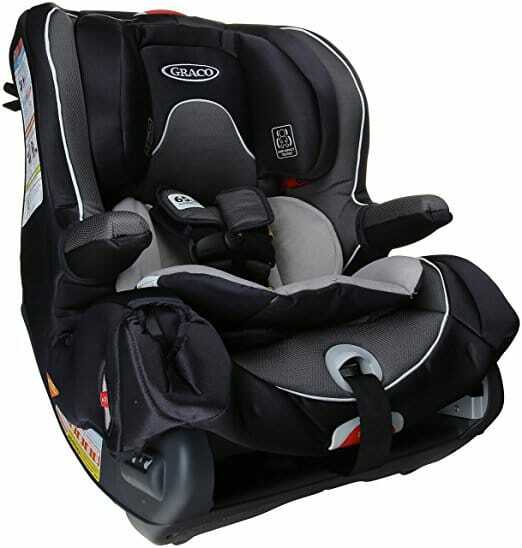 This Graco all-in-one car seat also features a one-hand height adjustable harness and headrest. And for easy storage, the SmartSeat comes with an integrated harness storage compartment to tuck those straps away when not in use. You can also get the smart base for this car seat. This stay-in-car base works similarly with infant car seats. You can install it with either the lower latch anchors or the seat belt. 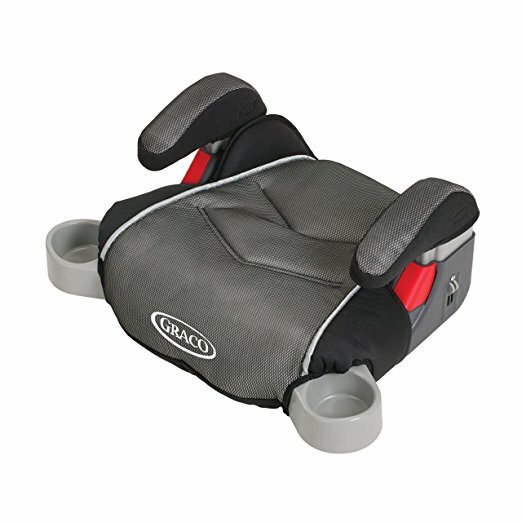 The only cons that I found in Graco’s SmartSeat its price and bulky frame. But if you ask me, I can disregard those cons. We’re talking about a car seat that you’ll be using right after your baby’s born until 10 years old. It’s bound to cost and weigh more than other models. The G3 Toddler Convertible car seat is probably one of the few (if not the only one) with a rotating base. With its SmartHub, loading the seat inside your car has never been easier. This system allows parents to dock and rotate the seat from almost any angle for easier installation. It’s also one of the few convertible car seats you can be used with a stroller and even comes with a sunshade for that task. The G3 stroller is, of course, sold separately. The G3’s 360 Degree Impact Protection. Vehicle collisions occur from all directions, and because of this, the SmartHub installation system was designed to offer multi-directional impact protection. The only con? It’s expensive. But I guess for something that has these outstanding safety features, the steep price is justifiable. 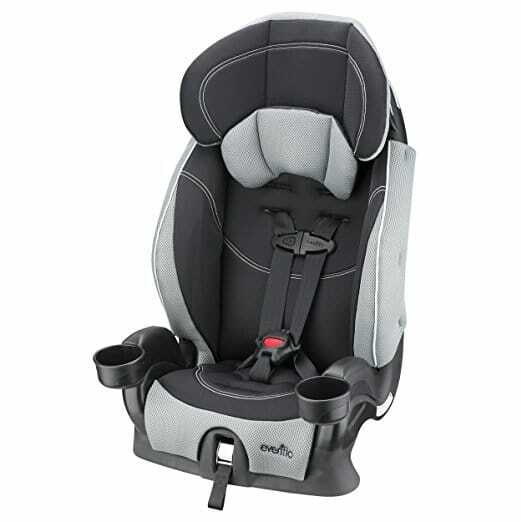 The Nautilus 65 LX was dubbed as 3-in-1 because it can work as a front-facing car seat, then converts to a high-back booster, and finally, to a backless booster. It offers three recline positions, and it also comes with an affordable price tag. The Nautilus also boasts a wider-than-average weight range, bringing a longer lifespan to the table. Your kid can even use it from his toddler years up to preteen, depending on your child’s growth rate. I don’t think this would count much as a con, but this car seat doesn’t offer a rear-facing option. That means that you’d need to purchase a separate car seat before you transition your kid to the Nautilus 65. If you’re looking for a car seat that’s extremely affordable and reliable at the same time, then Evenflo Chase LX is a good catch. This booster converts from a 5-point harness to a car seat belt use to ensure extended use. It also meets and exceeds all federal safety standards. So your mind can be at ease that, despite the low price, the quality is top-notch. It also comes with a removable head pillow and machine washable seat pad for easier cleaning. Unfortunately, it only offers four different harness positions while most brands offer at least ten. Graco has always been one of the preferred brands by most parents, and they’ve always made products that surpass expectations. This backless booster seat is not an exception. The Graco TurboBooster was designed to keep your child comfortable and in style while traveling. Features-wise, it has padded height-adjustable armrests depending on how your kid wants to use it. It also has smart, hideaway cup holders so that your “passenger” can always have his drink or snacks within reach. The only con? You only get a booster. No side impact protection or shock absorption. So that’s it for the best-rated car seats available. You will find a whole lot of other options, and we’ve covered many of them here. But always remember that all car seats keep your child safe – as long as you install and use them the right way.